Usually pumpkins are photographed in their glorious technicolor of orange hues. 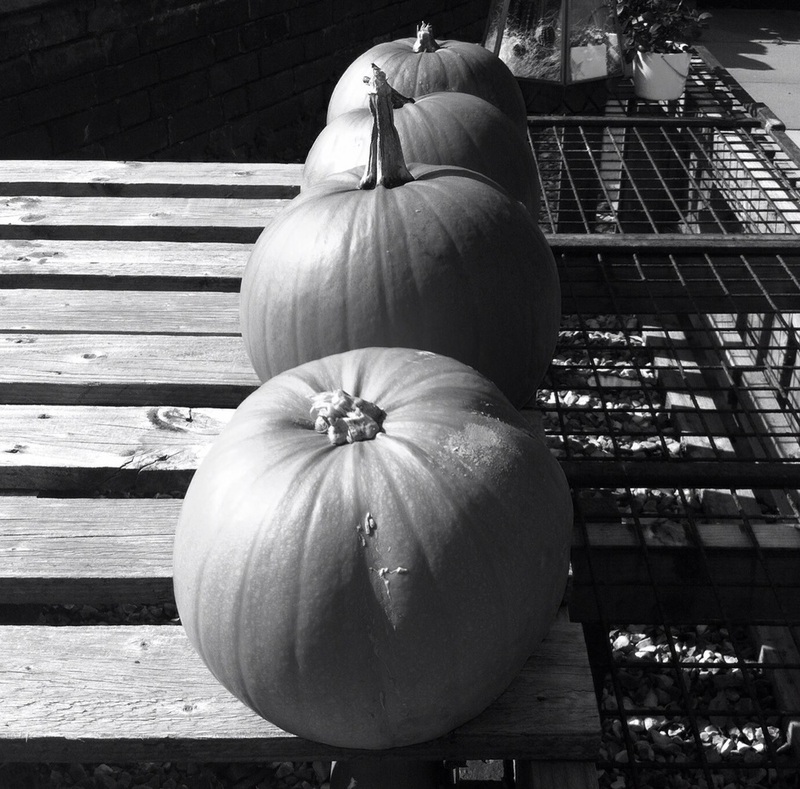 However I liked how the sunlight bounced off these pumpkins when I saw them all lined up outside a florists in Budleigh Salterton earlier this week. And black and white shows that off perfectly. It also highlights the textures of the wood they're on and the iron grill to their side. Another great thing about pumpkins is their versatility in the kitchen, they're something I never get bored of seeing on my plate.